All Learning is Social-Emotional. That’s so true. And it’s also the title of a new ASCD book by Frey, Fisher, and Smith. 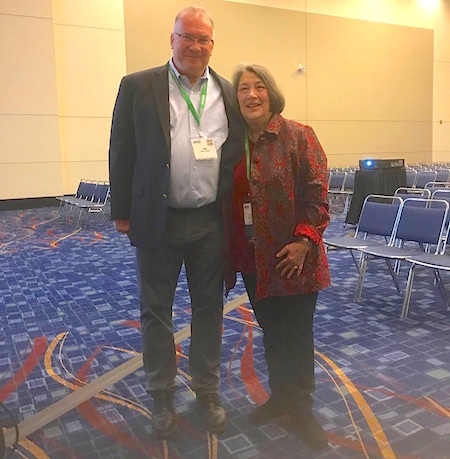 Earlier this month, I had the chance to chat with the authors about their approach to social emotional learning (SEL) on the afternoon of my arrival in Chicago to attend ASCD’s Empower19 annual conference. As I interacted with Nancy, Doug, and Dominique, I gained more understanding about their belief that all teaching impacts students at the social emotional level—either positively or negatively. As a result, it’s important to be aware of and design every lesson to ensure positive SEL. We talked about the need for teachers to assess where each student is socially and emotionally and use this information in their lesson designs. The framework that organizes their book can assist with this. More about that later in this post. My early encounter with these authors influenced the lens through which I experienced the entire conference, which was replete with sessions that focused on SEL. While I participated in a number of sessions that had SEL in their titles, I reflected on SEL at some point during each and every session I attended. Here are a few highlights of my conference experience, along with some SEL lessons I took away. Given the opportunity to begin the conference listening to Jim Knight, how could I pass? Jim continues to influence and inspire me. This session was no exception. As I listened to Jim this time, I was taken by the extent to which his partnership approach to coaching honors the social emotional side of adults. In his session Jim talked about Paulo Freire’s influence on his thinking—especially about the impact of Freire’s emphasis on love and hope. While, like many of you, I had read about this in Jim’s book Unmistakable Impact, my understanding of this deepened as I listened to Jim this time around. SEL Lesson from Jim Knight: Love your learners. SEL Lesson from Ron Clark: Hold high expectations for every child; care that all of your students reach their personal capacity. Nancy, Doug, and Dominique’s session was next on my agenda (read Nancy Frey’s Q&A on the session here). 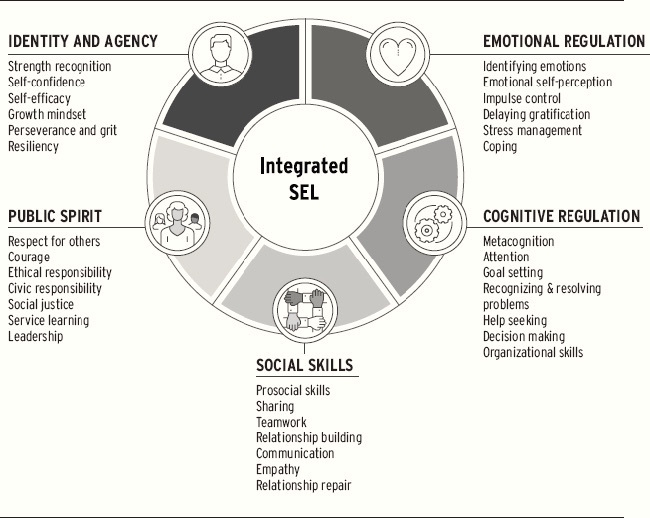 They focused on their framework for SEL, which incorporates five components: Identity and Agency, Emotional Regulation, Cognitive Regulation, Social Skills, and Public Spirit. During their session, the trio unpacked each of these areas and provided examples of ways in which teachers can design lessons that enhance these, thereby engaging learners in SEL. A theme running through their thinking invites us to consider all the ways teaching and learning can impact students’ self-efficacy. I’m pleased that we’ll be using All Learning Is Social-Emotional (ASCD, 2019) in our ABPC networks in the coming school year. SEL Lesson from Frey, Fisher, and Smith: Be intentional in considering the impact on students’ SEL as you design and facilitate academic tasks. In the Day Two Keynote, presidential historian Doris Kearns Goodwin summarized her conclusions about the leadership qualities of four presidents who succeeded in turbulent times: Lincoln, Teddy Roosevelt, FDR, and LBJ. DKG meeting educators and signing books at ASCD. As I listened to this notable American scholar, I concluded that each of these political leaders, who had suffered adversity and/or defeat along life’s pathway, had used these experiences to learn and grow socially and emotionally. As a result, they were both empathic and efficacious leaders who sought to improve the lives of “the least of these” whom they served. One interesting story: Lincoln wrote “hot letters” when he was angry—putting them aside to “cool down.” Many were “never signed, never sent” and found in his archives years later. SEL Lesson from Doris Kearns Goodwin: Understand how to help students use failure and other adversity as opportunities to learn about and strengthen their self-efficacy. My next break-out session was entitled “Research-Based Formative Feedback Moves to Advance Student Learning and Foster Social-Emotional Learning,” a session I chose for two reasons. First, I am currently involved in thinking deeply about the connections between quality questioning and formative feedback. Second, the session title included SEL. 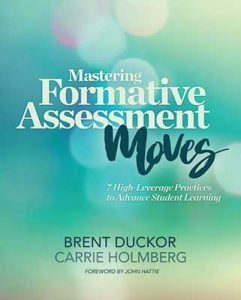 Based on a book by the presenters Brent Duckor and Carrie Holmberg, Mastering Formative Moves: 7 High-Leverage Practices to Advance Student Learning (ASCD, 2017), the session’s purpose was to connect SEL to formative assessment and feedback. As they uncovered and explored their seven moves, they suggested the need for teacher awareness of the impact of each move on students’ SEL well-being. As an example, they emphasized the importance of valuing every student’s response when checking for understanding, emphasizing that when students are consistently left out of classroom interactions, their sense of agency is diminished. SEL Lesson from Holmberg and Duckor: Be aware of how your daily academic interactions with students in your classroom impact their social emotional learning. 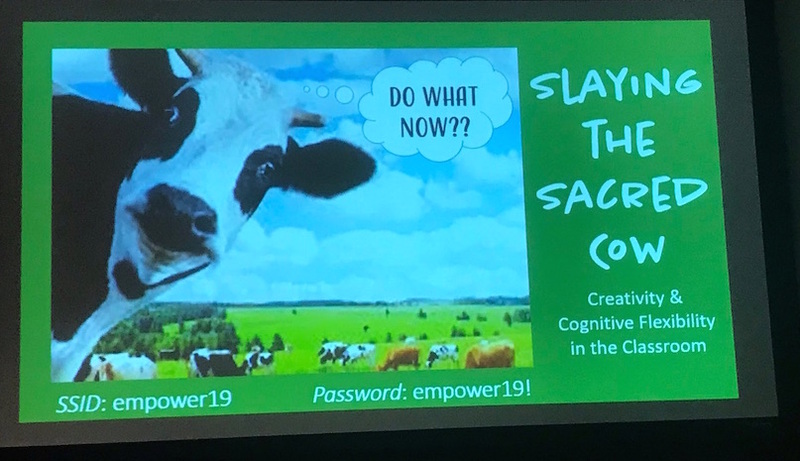 Later that day I attended a session entitled “Slaying the Sacred Cow: Creativity and Cognitive Flexibility in the Classroom.” I confess that it was partially the title and partially the focus on cognitive flexibility that drew me to this session. Little did I anticipate the impact the presenter – Chantrise Holliman, a NYC coach and long-time teacher – would have on me. Holliman, seated in her wheelchair, flashed a welcoming smile to all who entered. During the session she shared her philosophy and instructional practices—how she created a classroom culture and designed academic tasks that encouraged students to take risks to create work products for which there was no prior example. The session was both motivational and informative. As the session drew to a close, Holliman shared her personal story. Just over a year ago, she had a heart attack that required long-term hospitalization. During this time, blood clots developed in both legs, requiring three different amputations. She spoke of her need for personal flexibility and creativity to meet the new demands she faced. Holliman revealed that she had submitted the proposal to present the session we were attending prior to her health challenges, little knowing that she would need to summon the same strengths and talents she had developed in her students to meet her own personal challenges and be with us on this day. 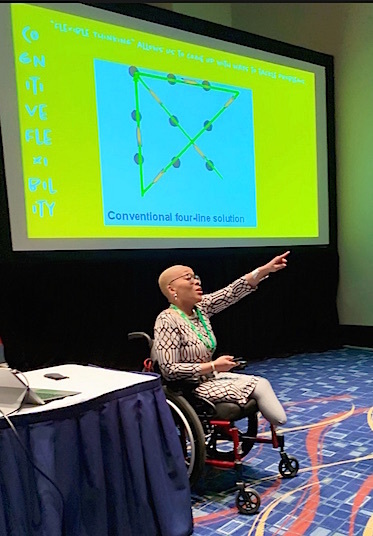 As I listened to Chantrise Holliman in my last session at this year’s ASCD conference, I thought of Nancy, Doug, and Dominique’s SEL framework, marveling at the sense of Identity and Agency that this experienced educator possessed. I also remembered the lessons from the four presidents who were the subjects of Doris Kearns Goodwin’s research. “This veteran teacher possesses extraordinary social and emotional maturity and strength,” I thought. Then it occurred to me that all successful teachers possess these qualities. We may not be challenged to the extent that Chantrise Holliman has been, but each and every day teachers are summoned to draw from a deep personal well of social and emotional resources in order to teach each child who enters their classrooms well and truly. I believe that social emotional learning occurs in the classrooms of teachers who themselves have a strong sense of Identity and Agency, are adept at both Emotional and Cognitive Regulation, possess finely tuned Social Skills, and have a robust Public Spirit, the five dimensions of the Frey, Fisher, Smith SEL Framework. SEL Lesson from Chantrise Holliman: We educators must engage in social emotional learning ourselves if we are to create these experiences for our students. How will history tell our story? Alexander Hamilton, orphan and immigrant, overcame personal adversity to contribute significantly to his adopted country. I could make a case that Hamilton exemplifies social emotional learning that resulted in a highly efficacious founding father — and also make a case that social emotional weaknesses contributed to his demise. As an old U.S. history teacher, I also appreciated Hamilton’s concluding lines: How will history tell your story? Who will tell your story? 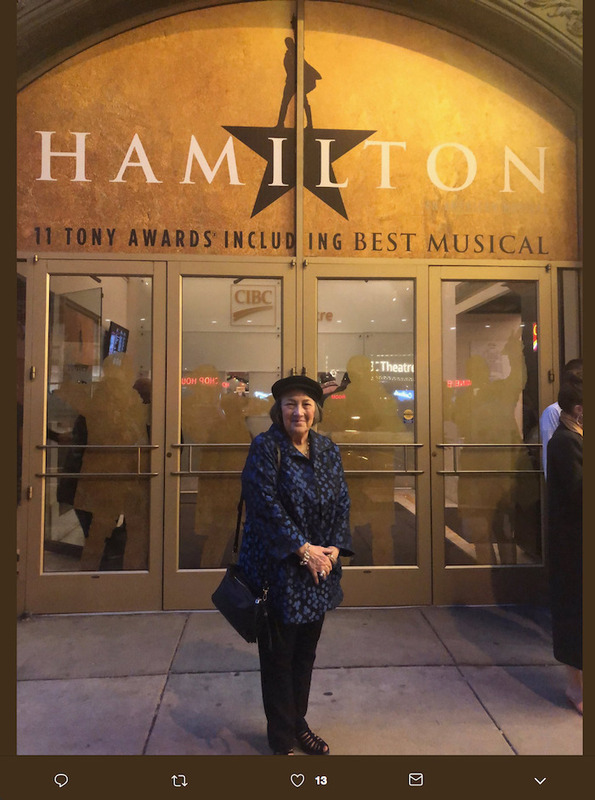 SEL Lesson from Hamilton: Social emotional learning is ongoing; we never arrive. Failing to continue to learn and grow in this sphere can lead to our downfall. Dr. Jackie Walsh has been the primary consultant for the Alabama Best Practices Center since 2008, with primary responsibilities for design and facilitation of professional learning. 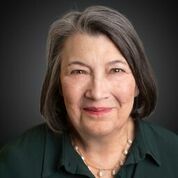 She began her career as a high school social studies teacher and has worked over the years in multiple educational organizations, including universities, a state department of education, a regional educational laboratory, and as consultant to the USDOE and school districts across the country. Her passion is classroom questioning and she’s co-authored four books on this topic, most recently Quality Questioning, 2nd Edition (Corwin Press, 2017) and Questioning for Classroom Discussion (ASCD, 2015). Jackie holds degrees from Duke and the University of North Carolina, and a Ph.D. from the University of Alabama (Tuscaloosa). 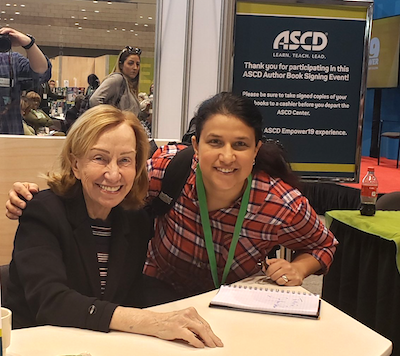 0 Comments on "Jackie Walsh: My SEL Lessons from the ASCD Empower19 Conference"